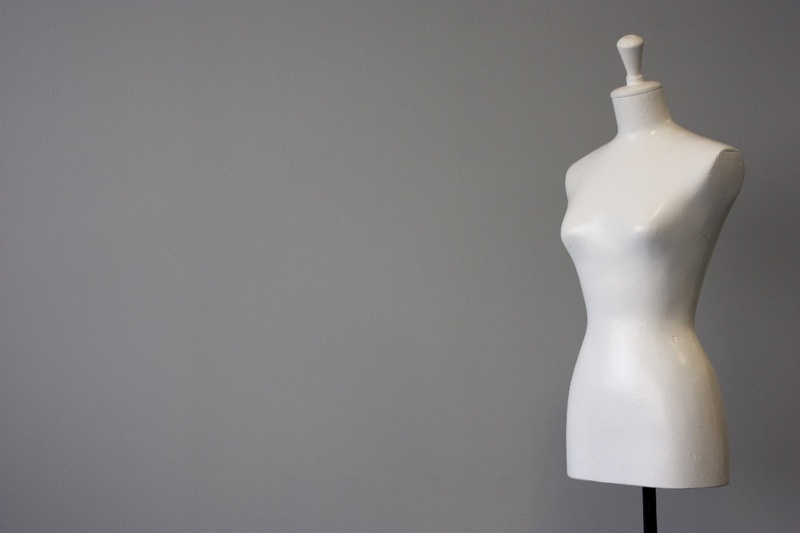 Used by professional dressmakers to custom-tailor designs, these headless-but shapely forms also work nicely to display blouses and dresses. You can adjust their height and easily move them around on their rolling stand. Some dress forms are expandable, and there are even styles for pants. Most are covered in fabric, so you can choose colors/patterns that dress up your shop as well as your merchandise. But you can also find dress forms made of paper mache. If you’re a DIY’er, you could even make your own. Unlike flat hangers, these have shape, allowing you to display clothing in a dimensional way without using a standard mannequin. Costumers and display hangers can be full-body or just specific components. They can be free-standing, but there are also table-top and wall-mounted versions. Though not as realistic as a true mannequin, these forms are made of flexible, padded rods that can be dressed and arranged in almost any pose. Partial mannequins are available in a wide variety of materials, either in fixed poses or with flexibility so you can pose them yourself. These male or female mannequin components fit inside apparel items, giving them invisible human form. The clothes appear to be floating in mid-air. You can combine or use separate torso sections, arms, hands, or legs as well as V- or round-neck layers. Racks allow you to hang a full selection of colors and sizes in very limited space. While they don’t help customers visualize shapeliness, they do make it easy to handle the items and read the tags. Flat surfaces are great for foldable apparel. Like racks, they don’t show off items “in the round,” but they do encourage customers to pick up the merchandise and examine it closely. Shelves put items at eye level, tables put merchandise at hand level. Containers work well for some kinds of smaller items such as accessories. Put them on the floor, at knee level, or even on the display table. With clever combinations of affordable mannequin alternatives, you can create intriguing multi-level displays that invite customers to visualize the possibilities, step closer, and examine the goods.